Reyes explained the right procedures when dealing with someone without a driver’s license. According to him, if the person does not have a driver’s license at all, he or she will be charged for driving without owning a valid Belizean driver’s license. The person will be brought to the station, where he or she will be detained for a couple of hours while the paperwork on the charge is done. Reyes said that after this process, the person should be released, not locked up for the night. He said that the same procedure applies to someone whose license has expired. 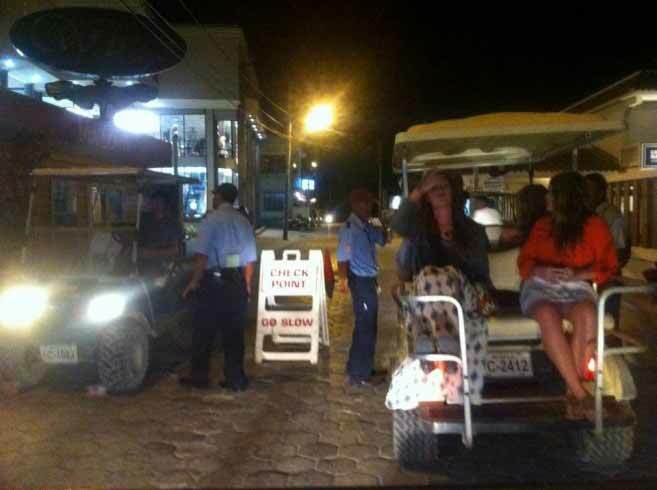 The Commander of the island’s police department also mentioned that he is aware that traffic offenders have been locked up for the night, and that there have been attempts at extortion. On the extortion side, Reyes believes that the community should work along with the police. He encourages that when a police officer stops someone at a checkpoint and tries to extort them, it should not be tolerated. “They should bring it to the attention of the officer that it is wrong, and once I can get evidence of the act, police officers will be arrested and charged,” he said. He also added that such behaviors should be reported immediately and that no one should feel intimidated as the police are here to serve the community. They will take your keys and imply that they are busy therefor the booking may take until the early hours of the morning. The police then wait for the citizen to ask the question of how much. Who then is at fault, the citizen for bribing or the officer for extortion. This is an old game they have played for years. Superintendent Reyes saying, "They should bring it to the attention of the officer that it is wrong, and once I can get evidence of the act, police officers will be arrested and charged,” is meaningless doublespeak. The ticketing/booking procedure lends itself to these situations of bribery and extortion. The procedure is in need of a change in the dynamic. PCs facilitate drug planes landing and never see jail or reprimand and they think we believe that tripe he said? Have I got a bridge to sell!! !